While the EU is focusing its attention on the deforestation of the iconic Bialowieza forest in Poland, the devastation of the primeval forests in Romania continues. Most of the EU’s last primeval forests are found in Romania. But they are deforestated from ongoing commercial logging, even in national parks and Natura 2000 areas, environmental NGOs EuroNatur and Agent Green claim. The NGOs publish the first episode of the investigative video documentary online series “Out of Control”, showing evidence of fresh and brutal logging of primeval forests within the Domogled – Valea Cernei National Park. Primeval forests have almost totally disappeared from Europe’s map. Only in the Carpathians, the Dinaric Alps and the Balkans have large, untouched areas of forests survived until the present day. Mainly located in remote mountain areas and steep valleys, the relative inaccessibility of these ancient forests has thus far saved them from destruction. However, the insatiable appetite of the logging industry now threatens the survival of the European Union’s largest and most precious remains of primeval forests. As we reported before, the devastations of these primeval forests continues at an alarming rate. Logging roads now dissect some of the last untouched valleys and slopes. Good governance is non-existent and protection programs are completely failing these forests. Romanian National Parks are the subject of intensive and extensive logging. Almost all National Parks in Romania fail to meet international conservation criteria, which are supposed to prioritise conservation objectives within management plans and forbid industrial exploitation of resources. Even though many proclaim that commercial logging in National Parks is not permitted most have been severely deforestated. Logging often is happening with approval of the national park administrations and with full sanction of the Romanian Government, sanitary logging being a typical cover for the commercial activities. In most National Parks, centuries old trees are being systematically logged for commodity products such as firewood and pulp. 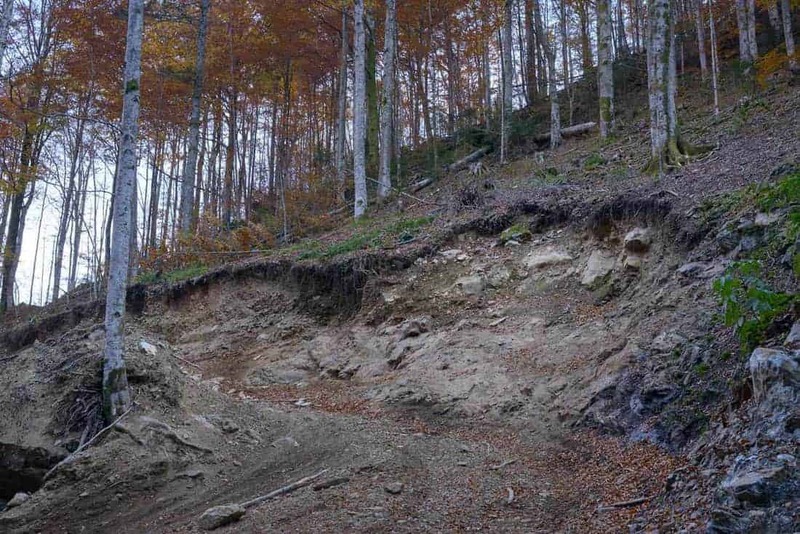 The video shows the deforestation in Romania’s largest park, Domogled – Valea Cernei National Park, which also contributes the biggest share to the Romanian part of the recently expanded ‘Ancient and Primeval Beech Forests of the Carpathians and Other Regions of Europe‘. The logging therefore threatens not only the old grwoth forest in this National Park but the World Heritage Sites in 78 locations in 12 different countries. says Gabriel Schwaderer, CEO of EuroNatur Foundation. explains Gabriel Paun, President of Agent Green. Why virgin forests in Romania can be legally cut!